Criminal Law, Constitutional Law, Criminal Procedure Code, Transfer of Property, Law of Evidence, Legal Language & Legal Writing. 1. Attended as a Resource Person in Two-day National Seminar on "Alternative Dispute Resolution", held at Dept. of Law, Osmania University, Hyderabad, A.P. (State) on 27th March, 2010. 2. Participated & Presented a paper on "plea Bargaining Concept - ADR in Criminal Administrative Justice" in Two-day National Seminar held at Dept. of Law, Osmania University, Hyderabad, A.P. (State) on 28th March, 2010. 3. Attended as one of the panel members in A one day National seminar sponsored by U.G.C. on "Re-organisation of states : Emerging Trends", held at Dept.of Law, S.K. University, Anantapur, A.P. (State) on 28th March, 2010. 4. Participated in Golden Jubilee National Conference on Law & Governance held at New Delhi, organised by The Bar Association of India, New Delhi on May 8-9, 2010. 5. Acted as a Judge in Stetson International Environmental Moot Court Competition, October 17-19,2009 organized by Dept. of Legal Studies, University of Madras, Chennai. 6.Acted as a Judge in Philip C Jessup International Law Moot Court Competition,January 29-31,2010, organized by Dept.of Legal Studies ,University of Madras, Chennai. 7.Attended as a Resource Person in Two-day National Seminar, Sponsored by U.G.C. on Law and Poverty, held at Dept. 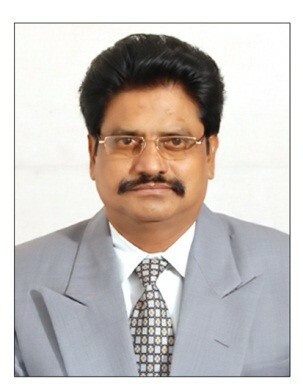 of Law, SriKrishnaDevaraya University, Anantapur,A.P.(State),29&30,March,2012. 8.Participated in the Refresher Course for Law teachers sponsored by U.G.C. and organized by National Law School of India University , Bangalore, May12-30,1989. 9.Participated in the Refresher Course for Law teachers sponsored by U.G.C. and organized by National Law School of India Unversity,Bangalore,February 17th -March 8th, 1992. 10.Participated in the Refresher Course for Law teachers sponsored by U.G.C. and organized by the Dept. of Law, Acharya Nagarjuna University, Anantapur,A.P. (State),March 11-31,1998.